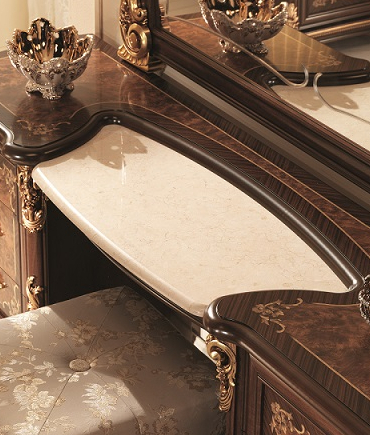 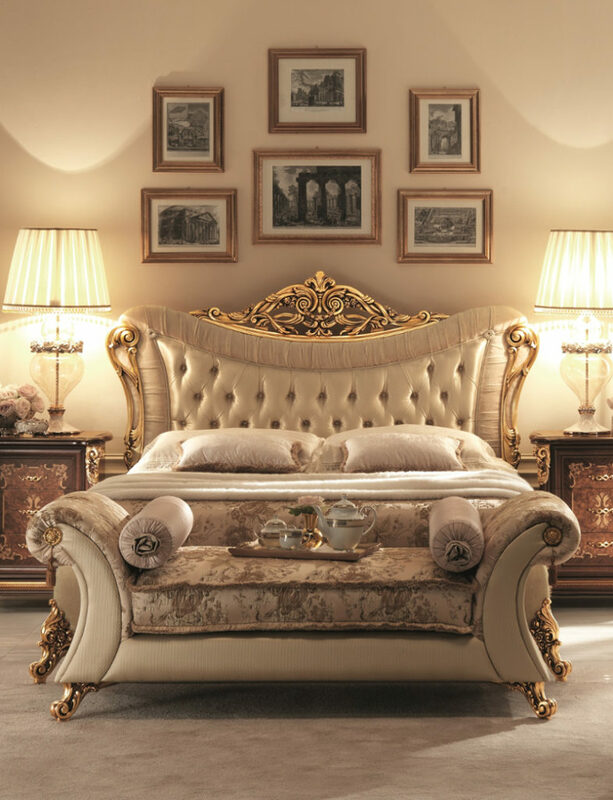 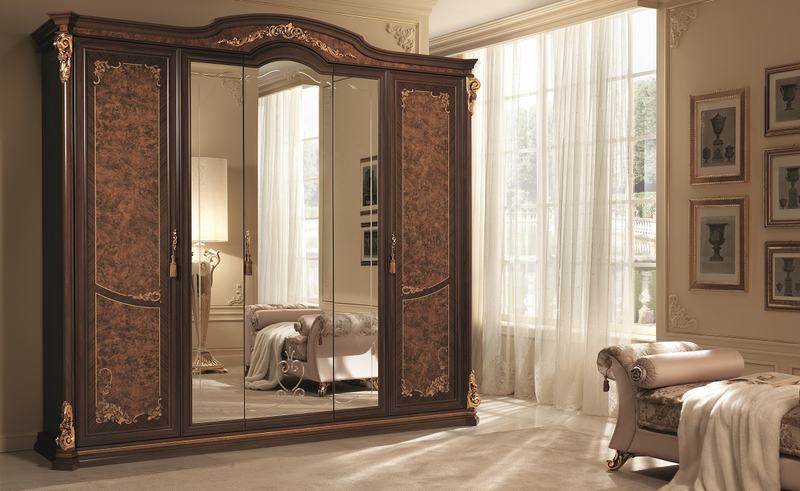 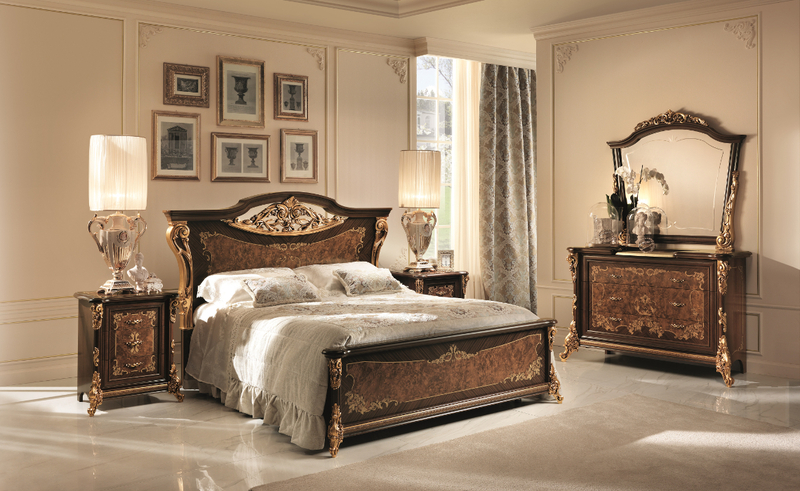 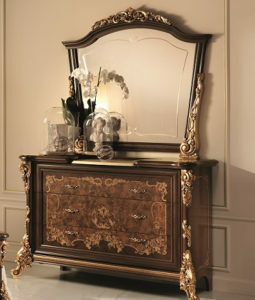 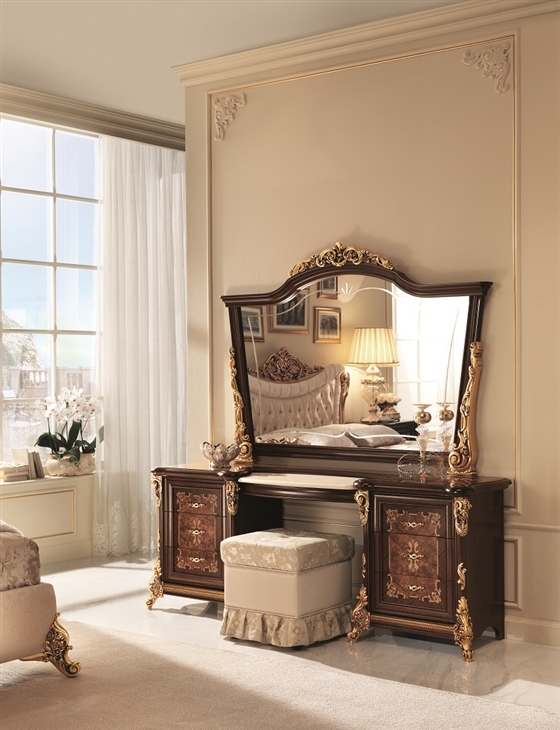 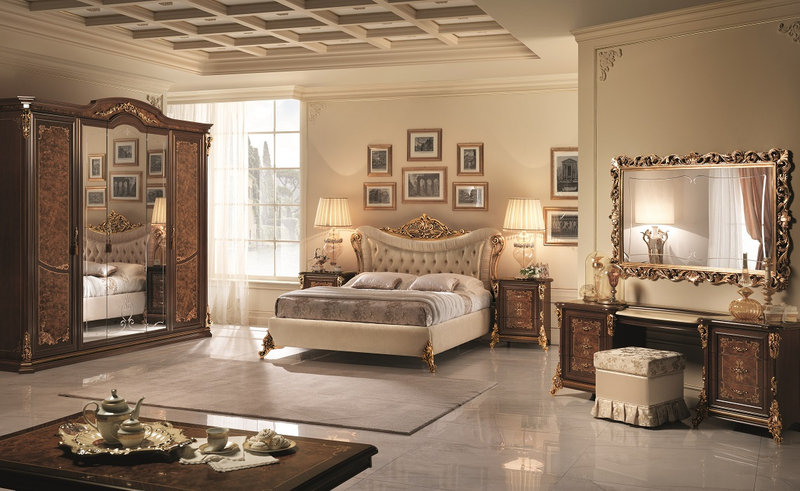 The sleeping area of the Sinfonia collection is opulent, precious and elegant. 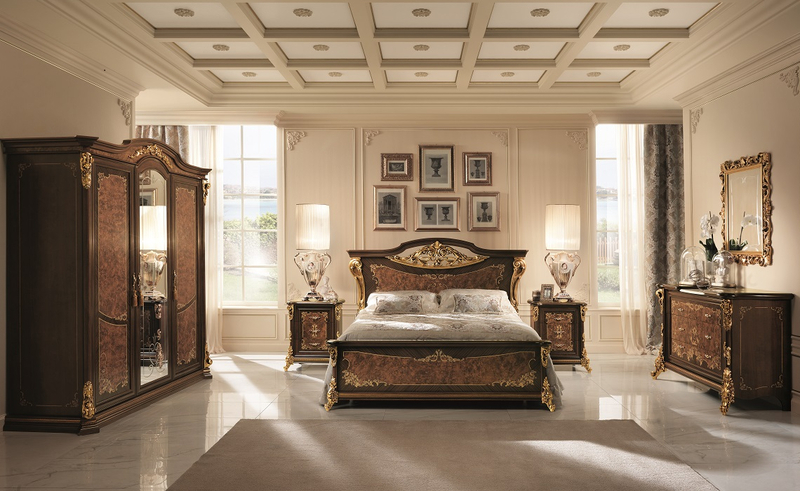 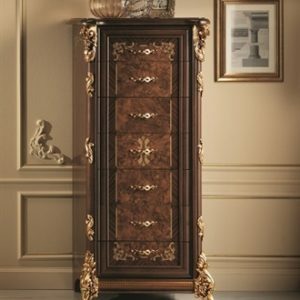 An intense base movement characterises the entire collection in the tradition dictated by Italian Baroque design. 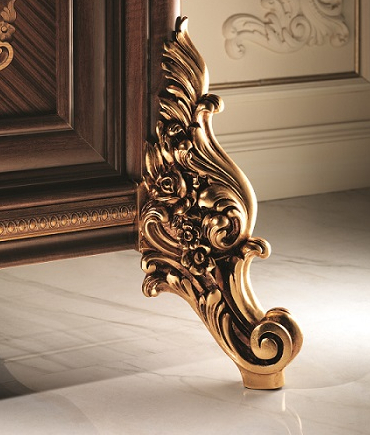 The luminous gilding renders each piece special with nothing left to chance: from the finely crafted mirrors to the decoration of the feet of every furnishing. A hark back to the Golden Age of Italian classical design in a whirlwind set design of sinuous lines, exuding pathos and theatre.